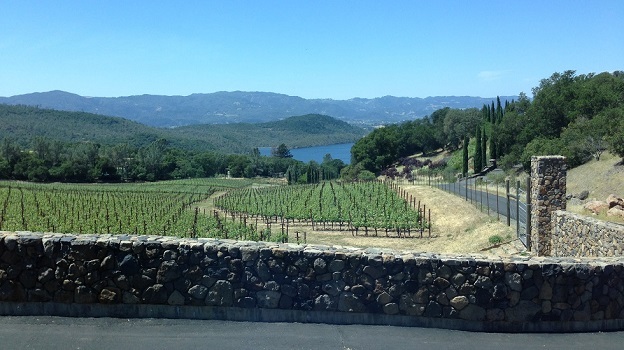 This past March I conducted a fascinating 20-years-after tasting of Napa Valley’s 1994 Cabernet Sauvignons and Bordeaux blends alongside my 10-years-after look at the 2004s. In many ways the experience was like tasting wines from two different generations. For starters, many of the wineries that submitted samples of their 2004s didn’t exist in ’94. Then too, 1994 was essentially a time when alcohol levels had just begun their inexorable climb to today’s high-octane levels. As a general rule, the 1994s were about a full degree lower in alcohol than the 2004s I reported on last week. And they appear to be developing even more slowly than the 2004s are. What made 1994 such a successful vintage for the North Coast’s big reds? Compared to the very early and warm growing season of 2004, during which growers had to deal with an extended heat spike in early September, 1994 was a walk in the park. Following a fairly dry winter, a cool, long spring was followed by a mild summer, and the moderate crop loads ripened slowly and consistently. A period of very warm weather during the first half of August just after the veraison brought some unevenness in coloration but the better growers simply thinned their fruit to achieve more even ripening of the grapes that remained. The harvest took place under relaxed conditions in September and the first half of October, with just a single minor, short heat spike in mid-September. Although the 1994s presented themselves well virtually upon release, it was clear from the start that they had all the elements for a slow and rewarding evolution in bottle: solid stuffing owing to moderate yields, good ripe tannins and healthy acidity. Back in the spring of 1996, I wrote in Issue 66 of the International Wine Cellar that “a very long, cool growing season resulted in extended hang time for the grapes, allowing growers to harvest fruit with extraordinary flavor development and completely ripe tannins. The better ’94 reds I tasted show dark colors, great density and texture, unusually complex aromas and flavors, and long, ripe finishes. They are admirably complete, balanced wines . . . .” In fact, a good percentage of the 1994s I tasted this spring were fully mature but in no danger of dying anytime soon. Only a few were past their peaks or in decline. Nineteen ninety-four was a more innocent time for California wine. The first cult wines barely existed then, and very few California Cabernets or Bordeaux blends had reached triple-digit prices. The first vintage of Screaming Eagle, the 1992, was just getting set for release, Harlan Estate had not yet appeared in the market (their first two vintages, 1990 and 1991, were released together in January of 1996). Wines like Colgin and Bryant Family Vineyard, both initially made by Helen Turley, had not yet entered the market (the first vintage for each was 1992). And of course estates like Blankiet, Bond, Colgin, Hundred Acre, Kapcsándy, Scarecrow, Sloan and Verité did not yet exist. If you're lucky enough still to be sitting on top ’94s—and you have ideal cellar conditions—you’ve got some very mellow drinking to look forward to over the next several years.